Is WhatsApp getting video calling support soon? WhatsApp is the largest mobile messaging app in the world with more than 900 MAU. The app which already supports voice calling is now said to bring video calling support soon. 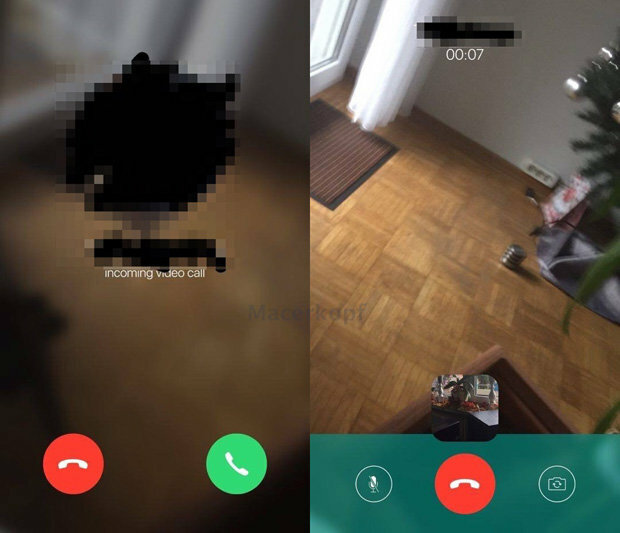 A couple of leaked images were released by a German website that shows video calling feature in action on WhatsApp. Users will be able to make video calls using WiFi or cellular data connection. Similar to the voice calling, the video calling feature has decline and accept button with an image of the person making the video call. A small window on top of the video feed will allow you to see your image and you will be able to switch between the rear and front camera. Furthermore, WhatsApp is said to adding multiple chat tabs that allows you to switch between individual chats without having to go back to the main WhatsApp chats list. The report said that the video calling feature is coming to iOS with the version v2.12.16.2 and the current WhatsApp version that is available in the iOS App store is 2.12.12. WhatsApp voice calling feature were first leaked out during same time last year and the feature rolled out to Android devices in March 2015. It would be really great to see the video calling feature on WhatsApp.